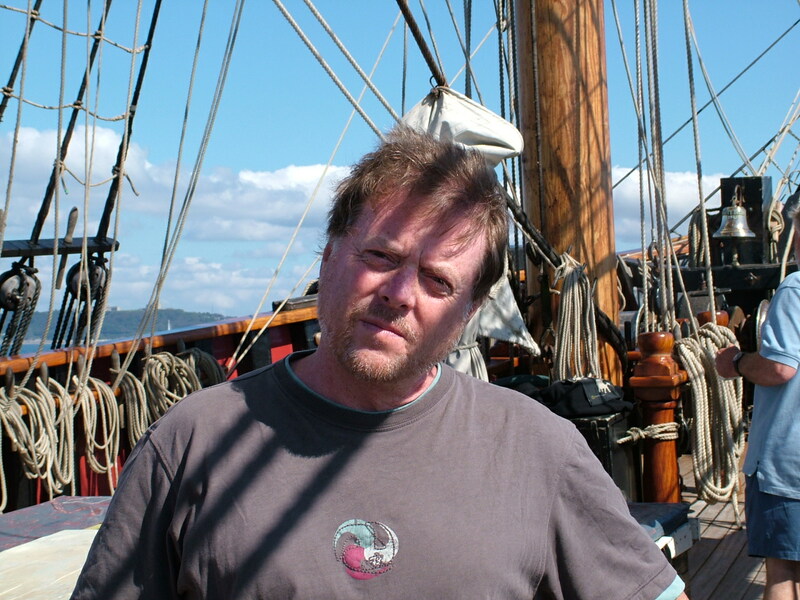 Paul Bryers is a writer and filmmaker who has made many dramas and documentaries for the BBC, Channel Four, PBS, Discovery, Arte and TLC. He is also a novelist whose books have been published by leading UK, US, French and German companies including Bloomsbury, Hachette, Macmillan, Andre Deutsch, Farrar Straus & Giroux and McBooks Press. Writing as Seth Hunter, he is the author of a series of novels set at the time of the French Revolution, the first of which The Time of Terror was a Number 1 best seller in the US in 2017. He has produced, written and directed many award-winning dramas and docudramas include the four-part Queen Victoria’s Empire for PBS which won an outstanding achievement award at the 2012 New York Film Festival; Murder at Canterbury for BBC-2 about the life and death of Archbishop Thomas Becket; The Line in the BAFTA-nominated Seven Wonders of the Industrial World series for BBC-2; Nelson's Trafalgar, for Channel Four which was a finalist for the Grierson Award; and Harem - a series of docudramas for Channel Four about the life and power of women in the Ottoman seraglio. He was writer and director of the docudramas A Vote for Hitler and A Strike Out of Time for Channel Four and he has directed films from the works of Arthur Miller (The Golden Years) and Mikhael Bulgakov (Incident in Judea). Novels include The Used Women’s Book Club, Prayer of the Bone, In a Pig’s Ear, The Adultery Department and Coming First, published by Bloomsbury in the UK, Farrar,Straus & Giroux in the US and other top publishers around the world. He was the winner of a British Arts Council Award for Best First Novel and In a Pig’s Ear was named as one of the Guardian’s six Best Novels of the Year. The Mysteries of the Septagram is his first series of novels for children and young adults. The first, Kobal, published by Hachette Children's Books was long-listed for the Waterstone’s Book of the Year Award. It was followed by Avatar and Abyss. SPOOKED: The Haunting of Kit Connelly, Paul's latest novel for children and young adults was shortlisted for the Phoenix Award in 2015. He was born in Liverpool and educated at Quarry Bank school and Southampton University where he took combined honours in modern history, politics and economics. He joined the Mirror group training scheme for journalists and worked on the Mirror for two years before moving into television as a reporter and presenter for Southern ITV and then as a producer and director. He has produced and directed documentaries in many parts of the world and was deputy editor and series director of Channel Four’s The Shape of the World and A Week in Politics. He has taught creative writing to MA level at the Universities of Southampton, Winchester and Bath Spa and is a member of PEN and the Society of Authors.